Equine Veterinarian, Dr. George Platt, called me to work on a foundered brood mare at a barn that raises cutting horses. We found that the other horses also seemed to be sore footed. As a matter of fact, we found all the horses we examined to have very thin soles. We shod the foundered mare with heart bar shoes and resected the front of both feet and put her on a high dosage of Farrier’s Formula® to stimulate increased growth rate and strengthen the hoof wall. By approximately 3 months, I noticed her soles were considerably thicker and tougher than the other horses in the barn. We also used Life Data’s Hoof Antiseptic in conjunction with Farrier’s Formula® to help toughen the soles. 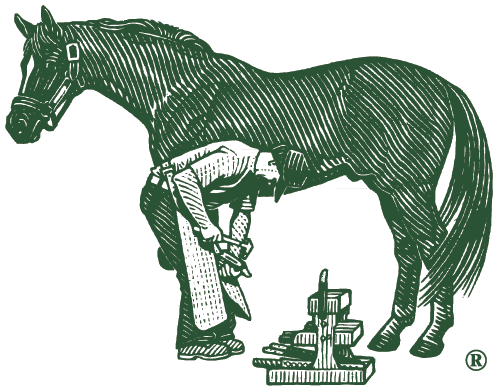 The only horse that could tolerate the sharp rock on soft feet with minimal ill effects was the horse we had on Farrier’s Formula®.